Hi everyone! I just wanted to pop on really fast and let you know that we’re having our annual CYBER MONDAY SALE!! Make sure to head to my store and take advantage of this one day sale! Everything in the store is already discounted, so no coupon is necessary. 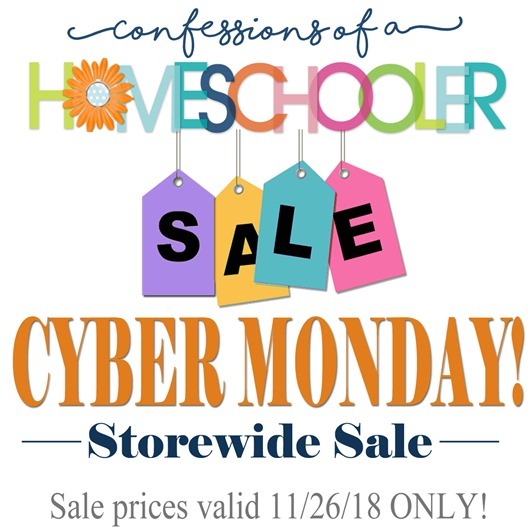 The sale prices will be valid on Monday 11/26/18 until midnight MST. Is the vol 1 and vol 3 literature packs supposed to be discounted 30% instead of 20% ? Vol 4 is discounted 30%.